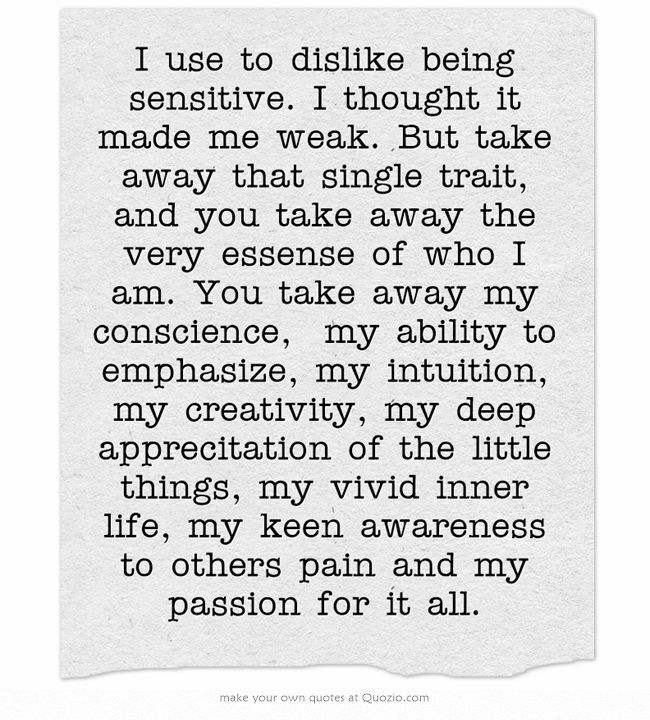 I use to dislike being sensitive. I thought it made me weak. But take away that single trait, and you take away the very essense of who I am. You take away my conscience, my ability to emphasize, my intuition, my creativity, my deep apprecitation of the little things, my vivid inner life, my keen awareness to others pain and my passion for it all.